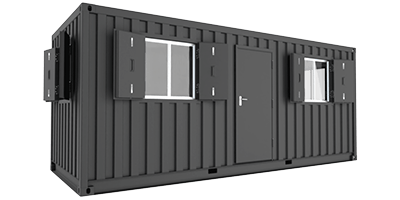 Based in Middlesbrough, we’re one the UK’s leading suppliers of shipping containers, with models for sale or hire in all sizes to fit your needs: from 6 ft to 45 ft, in both new and used models, whichever suits your budget. Once used solely for exporting cargo, the container has become a pretty familiar unit, seen in towns as restaurants, cafes, shops, offices - even entire housing developments - their uses being so versatile that we’re seeing evermore creative conversions, on top of their traditional storage and shipping applications. 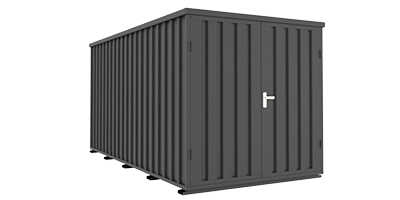 We’re proud to offer a huge range of containers for any shipping or storage needs you may have, as well as bespoke and modular conversions such as insulated, temperature-controlled environments, chemical storage, comfortable construction site offices, canteens and changing rooms. Or we can crank up the clever to craft a cool pop-up café, a hip high-street bar or a chic boutique just for you - the options are almost endless. Our technicians are trained to deliver your units in a modern fleet of vehicles with care, expertise, efficiency and accuracy, whilst our friendly sales team are here to cater to your needs. We're focused on making your experience as easy, speedy and pleasant as possible, delivering exactly what you want, when you want it and how you want it. Need a temporary solution? 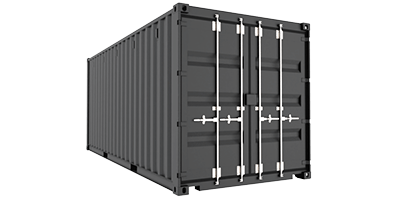 We have shipping containers to hire for as long as you need. 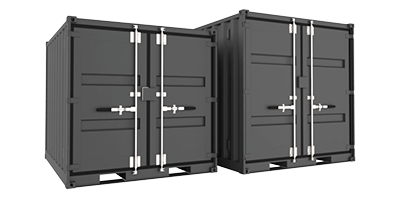 We stock a large variety of used shipping containers across our 15 depots nationwide. These are ideal for maximising your storage needs at a lower budget. Second hand containers are generally older units, but still sold as wind and water tight units. These vary in age and condition and depending on those variables, differ in price. Take a look at our clearance shipping container stock today. Our robust and versatile bespoke containers have many applications, some of which are common, and other more obscure uses; this is where our team comes in extremely useful in guiding you through the process. These include cold storage, domestic storage, temporary and permanent accommodation (such as housing, hotels, and offices), farming and agriculture, education, construction, engineering and manufacturing. Have dealt with Cleveland for a second time and the service is first class. Great prices and service, excellent after care. quick, efficient and helpful. Couldn't fault them. From our first enquiry to the delivery on site the service given by Cleveland Containers was excellent. We have nothing but praise. They did exactly what is says on their tin. A rare pleasure to deal with an efficient and polite company. The fact that we buy all our containers from Cleveland Containers shows that we are satisfied customers. Very Professional company. I would not hesitate to use again.